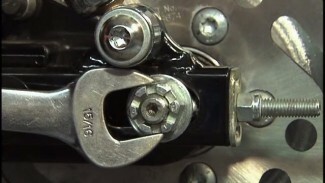 Lubrication of pivot points is part of regular maintenance on your Harley Davidson. 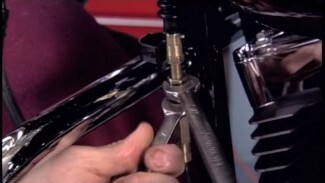 In this video, Bob gives us a quick overview of where lubrication and inspection is necessary. Your kickstand, shift linkage, floorboards, levers & hinges are all components that will need attention. Lubricate these areas with a quality lubricant, or rust penetrant. Anti seize is good to use on larger pivot points like your kick stand. There is no reason to over saturate any of these pivot points. 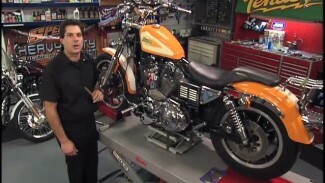 Only use enough of Harley lubrication to get the job done without making a mess of your motorcycle. Always wipe away any residual fluid. How often, or how much you lubricate your motorcycle will depend on a number of factors. A motorcycle that is washed a lot or stored in a damp garage will, obviously, need more attention than a motorcycle that is kept dry and stored in a heated, or controlled environment. 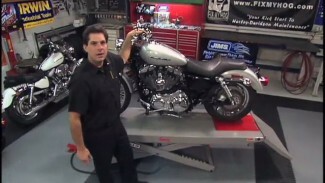 Bob also takes time in this short video to remind us to pay attention when someone else is paid to service your motorcycle for you. Don’t take for granted that everything you expect to be serviced, will be serviced. When doing it yourself take the time to see if anything else needs to be done. Talk with your mechanic or a service manager before and after your service is completed. Make sure that you understand what you are paying for. It is good to have a service manager or mechanic know that you, the customer, is aware of what is required and what you look for in a particular service. Here at Fix My Hog we are all about proper service. Never overlook Harley lubrication of pivot points. It is quick, easy, and an important part of a thorough service.